Though smaller than in year’s past, Germany’s CeBIT trade show in Hanover this week remains one of the giants of the industry and is a must-attend event for much of Europe’s technology leaders. For the last two years, I have been participating in Webciety, a show within a show that explores the emerging 21st century digital lifestyle. 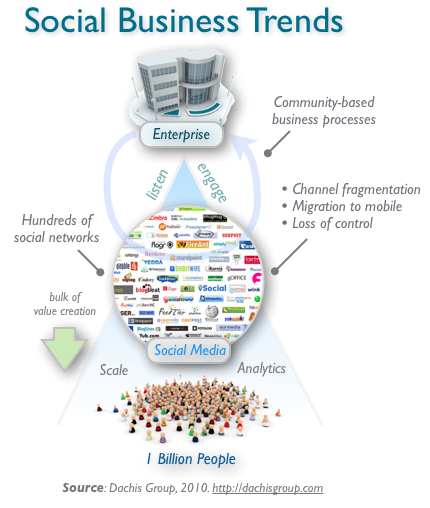 Here is a breakdown of how Europe is looking at Enterprise 2.0 adoption and how it affects us as well. 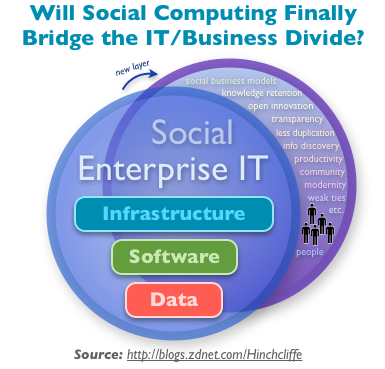 What then does this mean for the future of IT and what impacts will social computing ultimately have on the enterprise. Amazon announced today that it was opening up its Kindle reader device to 3rd party applications to be distributed later this year in the Kindle Store. 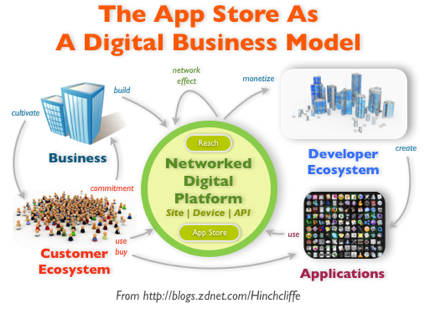 This news was just one more in a string of announcements from platform vendors large and small that they’re getting the message: The app store model that Apple has proved so successfully with the iPhone is becoming the next frontier when it comes to next-generation software distribution that creates clear value for both customers and companies alike. What will power next-generation businesses? The ongoing and seemingly inexorable decline of traditional media continues to be the canonical example of what happens when the ground rules get changed in an industry that is fundamentally unable to adapt to new market conditions. A great analysis recently posted by Umair Haque at Harvard Business underscores the point: The so-called new normal is starting to seem more and more foreign the deeper we go into the 21st century than most organizations may yet be willing to believe. Here’s an exploration of what will likely drive forward next-generation businesses in the 21st century.